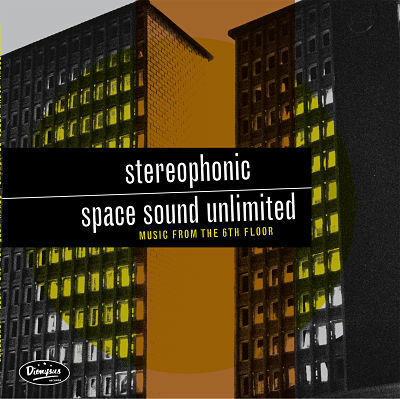 Stereophonic Space Sound Unlimited Emerge from their secret lair! For the first time EVER! Head to KOOP KOOPER’S COCKTAIL NATION, www.cocktailnation.net at or after 9:00 AM, Pacific Time and grab the show podcast (4/15 in the states, 4/16 in Australia)! This is the FIRST EVER INTERVIEW with Stereophonic Space Sound Unlimited, who, since the late ’90s, have released seven albums on Dionysus with nary a photo or word from the group! SSSU’s Karen Diblitz (Karen Simpson) will be talking to The Cocktail Nation’s Koop Kooper about the group, their new and past releases. Koop will also be giving away copies of their latest album, “Music from the Sixth Floor” on Dionysus Records! THIS IS EXCITING NEWS!! Exotica Gem by Hawaiian Spotlighters Reissue on Bacchus! ORDER YOUR COPY AT THIS LINK! 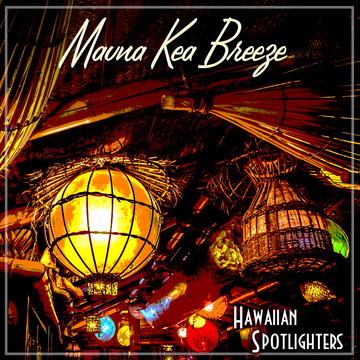 Exotica expert and fanatic Jeff Chenult first heard about the elusive HAWAIIAN SPOTLIGHTERS album called Mauna Kea Breeze in 2015. A copy came up on eBay which he bid for, and won. Shortly thereafter he set out to locate group member Al Pabilona or any of his musical family who were still around. He found Al’s profile on Facebook; still playing music with his daughter Olivia in a band called THE GOOD VIBES DUO/UNDERTOW. What luck! To say Al was surprised would be an understatement. He was gracious, kind and awestruck that we wanted to release a record that he had recorded with his father over fifty years ago! Al Jr. was only 13 years old when he played drums on this record. They were originally called AL’S SPOTLIGTHERS and played at clubs, weddings and other events in Hilo, Hawaii. The family later moved to California. In 1964, Al Pabilona Sr. recorded his musical family inside their garage in Hayward, California. Each family member played an integral part of the band with Bill Pabilona composing the title track “Mauna Kea Breeze”. A reported 200 copies of the original album were made by the Century Custom label, a vinyl manufacturer that catered to private pressings. Today, only a handful of these exist, making this one of the rarest exotica records ever recorded! The audio has been lovingly restored by the legendary Dana Countryman (Cool and Strange Music Magazine, co-conspirator with the late JEAN JAQUES PERREY among others) and cut using a tube system, vintage Scully lathe and Westrex cutting head at HRS in Culver City, CA. The reissued LP features cover photography by Jochen Hirschfeld, producer of The DVD of Tiki. Red vinyl too!! 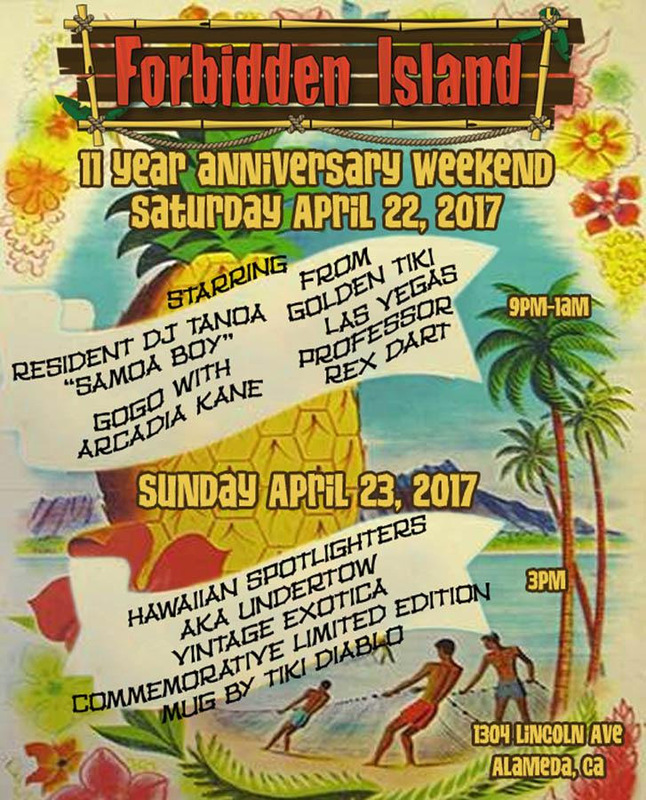 The duo will be performing at Forbidden Island, Alameda, CA, Sunday, April 23 in celebration of the release, during the bar’s 11th anniversary weekend!